The amazing and numerous benefits of yoga are well-known. But did you know that yoga also works wonders for your dental health? If you’ve noticed some oral health warnings such as inflamed gums, toothache, jaw pain, or even bad breath, it might be time to boost your efforts for oral care. A new study has shown that practicing yoga is an easy yet effective solution to improve your overall dental health. Yes, yoga for teeth and gums is a very real thing! Saliva helps break down food particles, makes swallowing easier, and washes away harmful bacteria and minute food debris from the surface of your teeth and gums. More saliva equals a reduced risk of bacterial growth in your mouth. Bad breath is one of the very first signs of reduced saliva production as the bacteria that cause bad breath aren’t removed by your saliva. Severe dry mouth can increase plaque build-up, gum diseases, and tooth decay. You can learn and practice different breathing techniques while practicing certain yoga poses. Forward folds, inverted poses, and certain twists are known to enhance saliva production. Poor posture has bad effects on your whole body. And bad posture can also affect your oral health. For instance, if your head juts forward, it puts stress on your neck, spine, and collarbones. This, in turn, affects the shape and position of your jaw. Your bite is associated with the position and shape of your jaw. 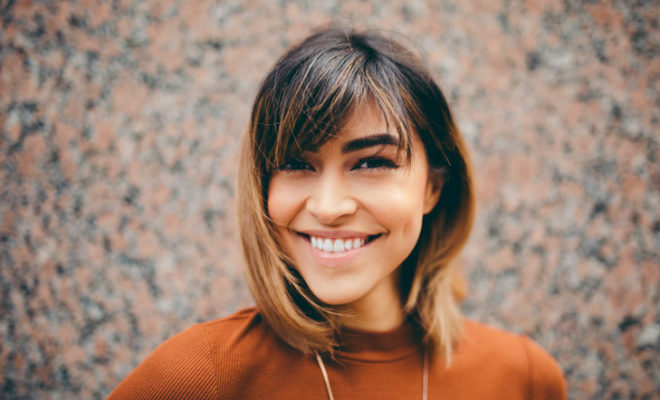 Poor jaw alignment can affect your bite which can negatively impact your dental health. 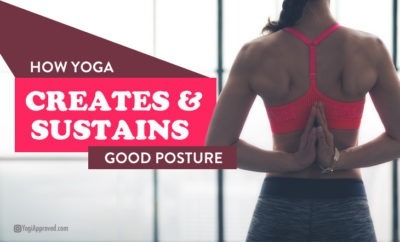 One of the major benefits of practicing yoga regularly is improved posture. Even practicing yoga just a few times a week can give you some great results in terms of whole body alignment. Stress has become a part of our lifestyle today. Be it job, family, or other relationships – you might be stressing about multiple things without even realizing it. Stress not only takes a toll on your overall health, it also affects your oral health. Teeth grinding is a common symptom seen in stressed individuals. This can lead to wearing down of enamel, micro-cracks in teeth, gum recession, loose teeth, aching jaw muscles, and multiple other oral problems. Stress has become a part of our lifestyle today. Besides, high stress levels increase the production of cortisol which may make the swelling in your gums worse. Furthermore, gum inflammation may increase the risk of gum diseases. Luckily, yoga is a proven stress buster. It helps your body and mind relax, thus bringing your stress levels down. Increased saliva production, improved posture, and reduced stress levels are some of the many benefits of practicing yoga that positively impact your dental health. This article has been read 276 times. Share it and spread the love! Grace Clark works at Dr. Michael G. Long DDS, in Fresno, CA. A believer in holistic health, Grace lives by the rule that health and happiness go hand in hand. She writes on various dental topics focusing on healthy, holistic living. When she’s not working or blogging, she enjoys spending her time with family and volunteering at the local youth centers. She educates children about the importance of health and fitness.